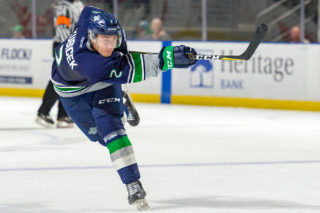 KENT, February 8, 2019 — The Portland Winterhawks defeated the Seattle Thunderbirds 4-1 Friday night at accesso ShoWare Center. The T-Birds play the Medicine Hat Tigers on Saturday at 6:05pm at accesso ShoWare Center. Portland took a 1-0 on a goal from Joachim Blichfeld at 2:07 of the first period. Reece Newkirk and John Ludvig the assists. The Winterhawks went in front 2-0 at 10:41 of the first on a power-play goal by Ludvig. 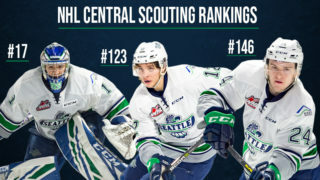 Seth Jarvis and Brendan De Jong had the assists. Portland outshot Seattle 12-6 in the first period. The Winterhawks went ahead 3-0 at 11:18 of the second on a goal from Lane Gilliss. Jaydon Dureau and Jared Freadrich had the assists. 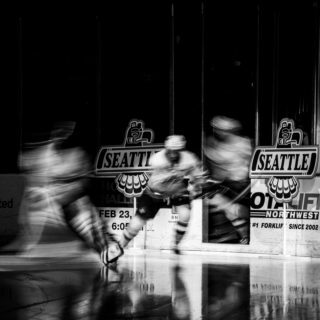 Seattle outshot Portland 9-8 in the second period and the Winterhawks led 20-15 in shots after two periods. 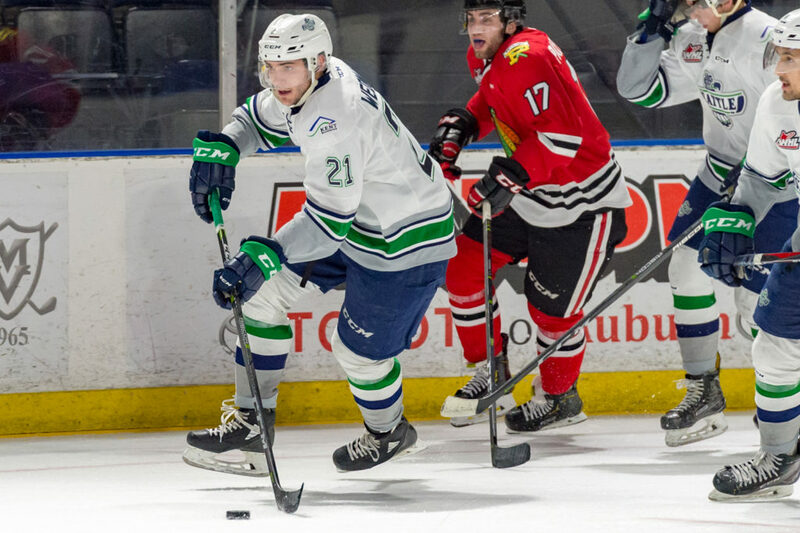 Seattle (20-26-5-1) cut the Winterhawks lead to two goals at 16:13 of the third on a five-on-three power play goal by Matthew Wedman. Noah Philp had the puck between the tops of the circle and passed it to Wedman in the right circle. Wedman one-timed the pass over Portland goalie Shane Farkas. Jarret Tyszka had the second assist. The T-Birds pulled goalie Cole Schwebius for an extra attacker with a minute left in the game. 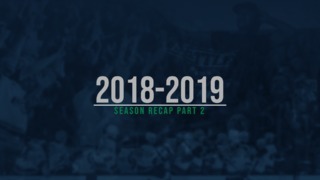 Portland was able to hold off a T-Birds push and Josh Paterson scored into an empty net with 24 seconds left in the game. Portland outshot Seattle 28-26 in the game. Schwebius had 24 saves on 27 shots. Farkas had 27 saves on 28 shots. First period – 1, Portland, Blichfeld 44 (Newkirk, Ludvig), 2:07. 2, Portland, Ludvig 4 (Jarvis, De Jong), 10:41. Penalties – Blichfeld, Por (slashing), 6:12. Williams, Sea (hooking), 8:40. De Jong, Por (interference), 13:01. Bauer, Sea (cross checking), 15:54. Second period – 3, Portland, Gilliss 13 (Dureau, Freadrich), 11:18. Penalties – Wedman, Sea (roughing), 19:57. Newkirk, Por (roughing), 19:57. Third period – 4, Seattle, Wedman 26 (Philp, Tyszka), 16:13 (pp). 5, Portland, Paterson 24 (Kvasnica, De Jong), 19:36 (en). Penalties – Hanas, Por (tripping), 8:54. De Jong, Por (tripping), 14:31. Carpendale, Sea (cross checking), 15:26. Hanus, Por (cross checking), 15:26. Gilliss, Por (cross checking), 15:53. Shots on goal – Seattle 6-9-11 26, Portland 12-8-8 28. 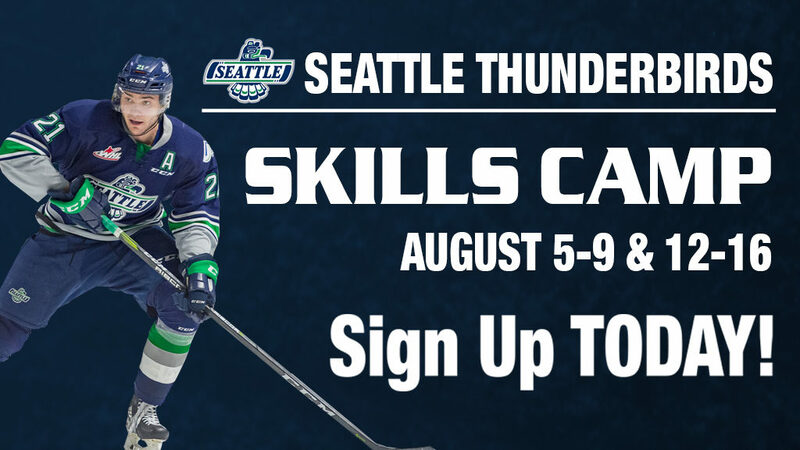 Goalies – Seattle, Schwebius 27 shots-24 saves (3-7-2-0); Portland, Farkas 26-21 (27-10-3-2). Power plays – Seattle 1-6; Portland 0-2. A – 2,688. Referees – Adam Bloski, Jeff Ingram. Linesmen – Mark Heier, Justin Nicol.